Lampard Calls On Rams To Shake Off Heavy Defeat In League Action. 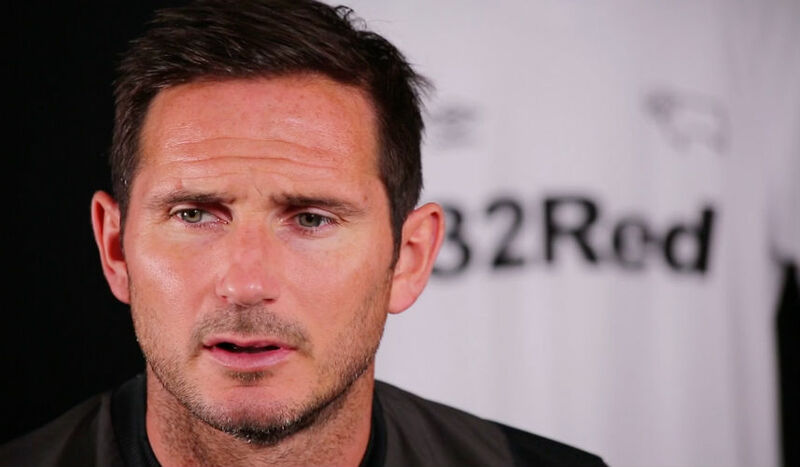 OLDHAM – Frank Lampard and Derby County will aim to bounce back from the crushing defeat in league action over the weekend when his side faces Oldham in the Carabao Cup first round on Tuesday at Boundary Park. Lampard was brought back down to earth on Saturday when his Derby side was taken apart in a 4-1 defeat to Leeds United. With his main focus being on securing a promotion from the Championship, the former England and Chelsea midfielder could look to give some of his younger players an opportunity to play some first-team football. At the same time, he will also play some of his experienced players who are still looking to work on game fitness. One of the players in line to start for Derby is Jack Marriott, who was the top goalscorer at Peterborough last season in League One. Surprisingly, Marriott is yet to start a league game since he joined the Rams and Lampard will look to give the striker a chance to impress. Also in line for a starting place for Derby are speedy winger Florian Jozefzoon and midfielder Bradley Johnson. Meanwhile, for Oldham, they will be hoping to shake off a slow start in League Two, while manager Frankie Bunn, who saw his team collecting just one point from the opening two games, has urged the fans to get behind the players. The slow-starting Latics were held 1-1 by Forest Green Rovers at the weekend and were beaten 2-1 in the League Two opener by MK Dons. Bunn, meanwhile, doesn’t have a deep squad at Oldham so he will be forced to use several of his youngsters. Oldham Athletic have won three of the last five head-to-head meeting with Derby, but were edged 1-0 by the Rams when they last met in 2013 at Boundary Park. Visit Fubo.tv to watch live streaming of this game.